Large amounts of Saharan dust are frequently transported from the source regions across the Atlantic Ocean and towards Europe. Due to its optical properties, dust has an important but not yet fully quantified impact on the regional and global radiation budget. Moreover, Saharan dust affects the climate system by influencing the oceanic ecosystem. Micronutrients transported by dust (in particular iron) fertilize the marine biota and support the marine uptake of carbon dioxide. 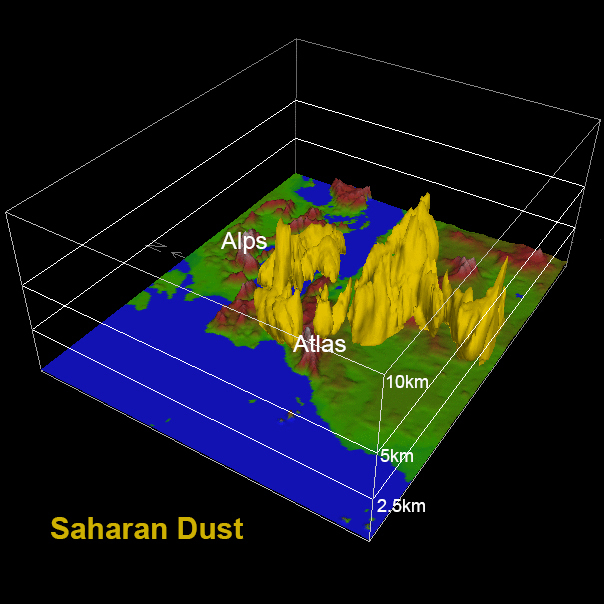 To investigate the large-scale transport of Saharan dust, including its sources and sinks, computer simulations with the regional transport model COSMO-MUSCAT are carried out. 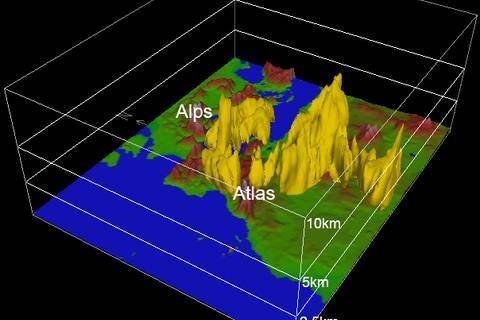 The simulation results are evaluated by ground-based remote sensing, satellite data, and in-situ measurements from field campaigns, which allow continuously improve the parameterization for dust mobilization. Using the modelled spatial and temporal distribution of Saharan dust, the influence of dust particles by modifying solar and thermal radiative fluxes on temperature, wind fields, and cloud dynamics was estimated within the framework of the research group SAMUM (funded by the German Research Foundation/DFG, 2004 – 2011). 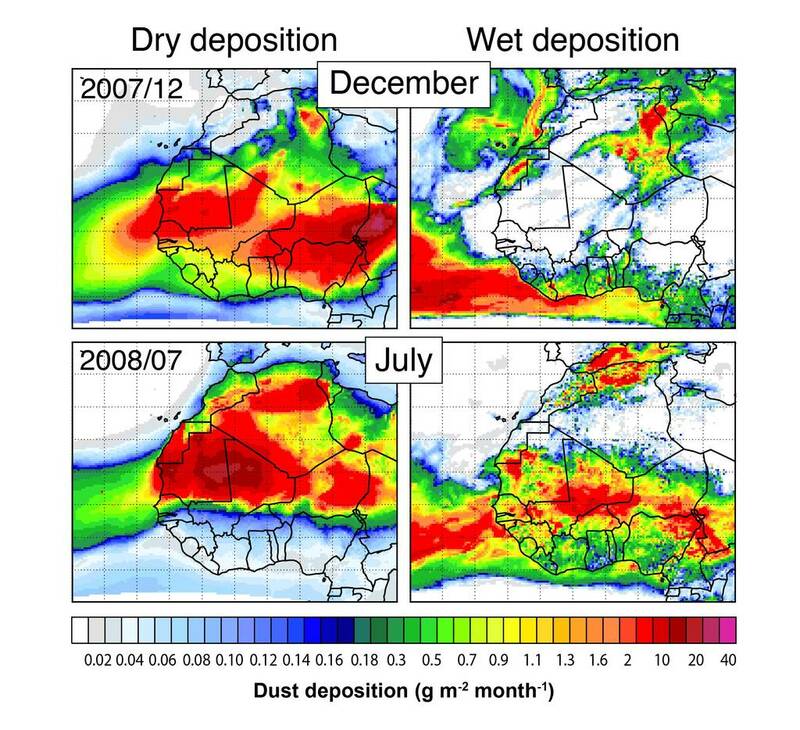 Within the projects TRACES (Leibniz association/WGL Network, 2006 – 2009) and SOPRAN (funded by the Federal Ministry of Education and Research/BMBF, 2007 – 2013), the deposition of Saharan dust into the North Atlantic has been estimated based on COSMO-MUSCAT results for specific dust events. 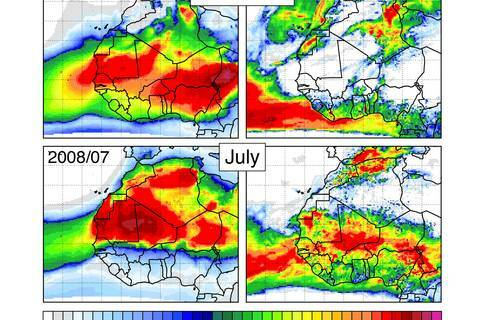 Furthermore, the seasonal and annual variability of dust emission and transport is investigated using multi-annual simulations with the regional model, which are also compared to satellite data.